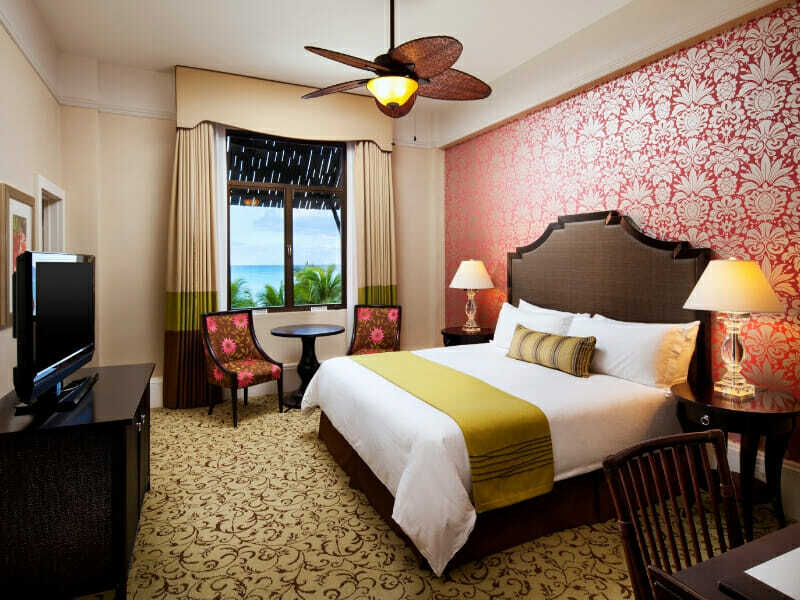 Holiday like royalty at The Royal Hawaiian resort. 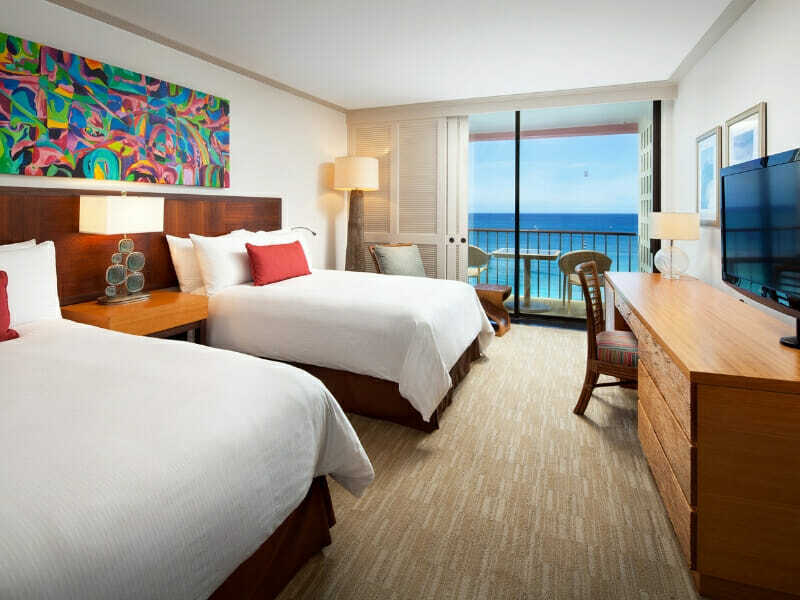 Located in a prime position, this 5 star resort is rich in Hawaiian culture and overlooks the world-famous Waikiki Beach. 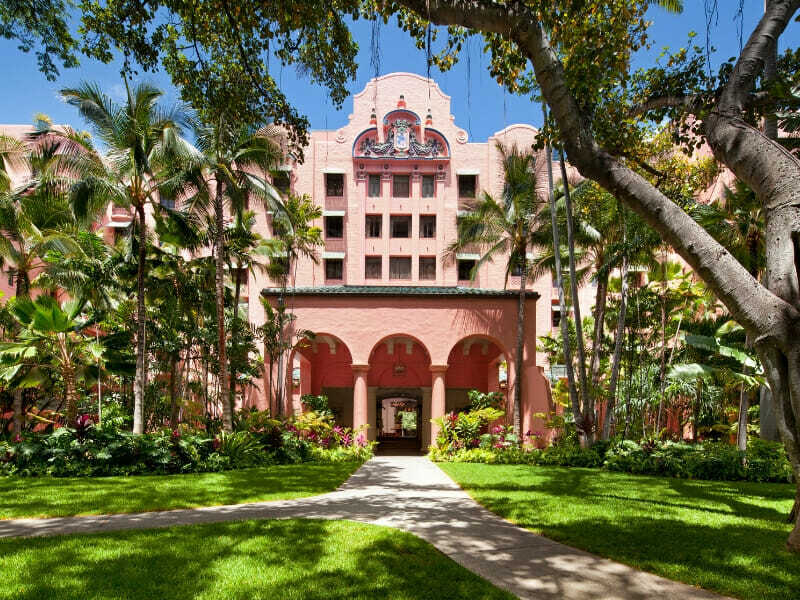 Known as the “Pink Palace of the Pacific” this luxurious retreat has been standing for almost 100 years on the Waikiki shoreline! 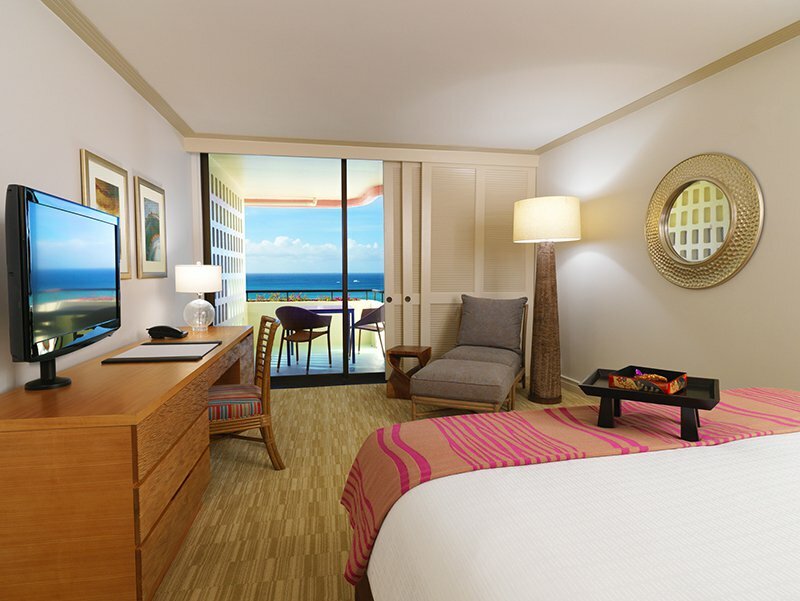 Experience the most pristine Hawaii accommodation with 528 luxurious rooms and suites. Each room is designed with a contemporary feel and a touch of indigenous style, complete with modern comforts. All rooms are fitted with luxury amenities including flat-panel TVs, premium bedding and a refrigerator. Several rooms are equipped with a private balcony, providing incredible views of the Pacific Ocean. 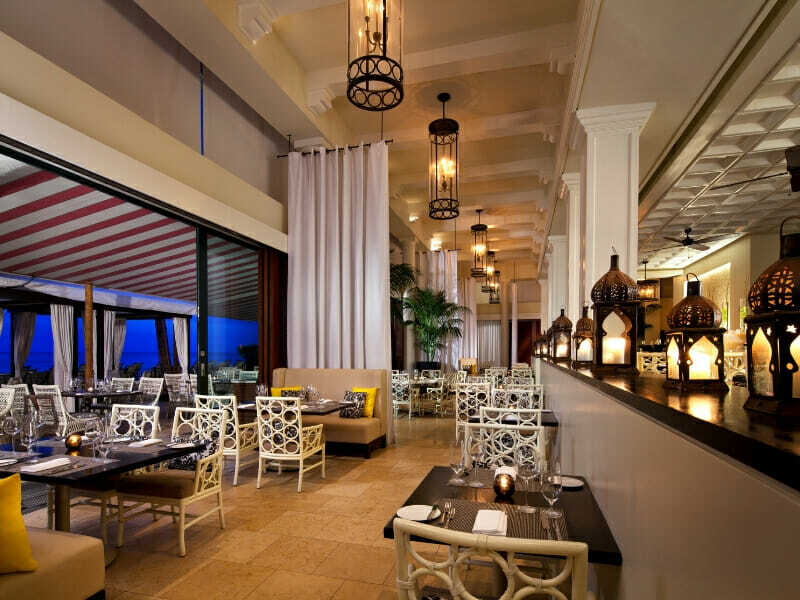 Dine in one of the 3 exquisite on-site restaurants where all meals are sure to tantalise your taste buds. 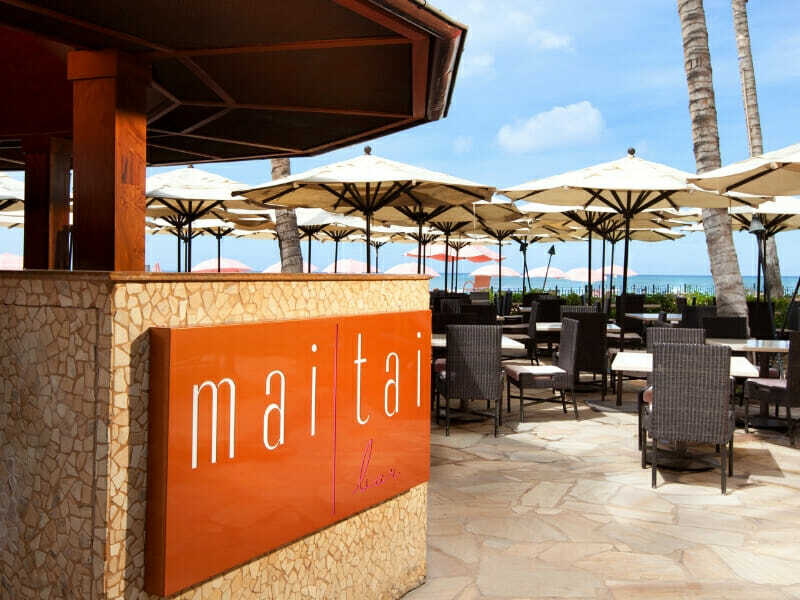 Sip a cocktail from the resort’s Mai Tai Bar while relaxing by the pool or enjoy a vibrant display of culture and entertainment at The Royal Hawaiian Luau! 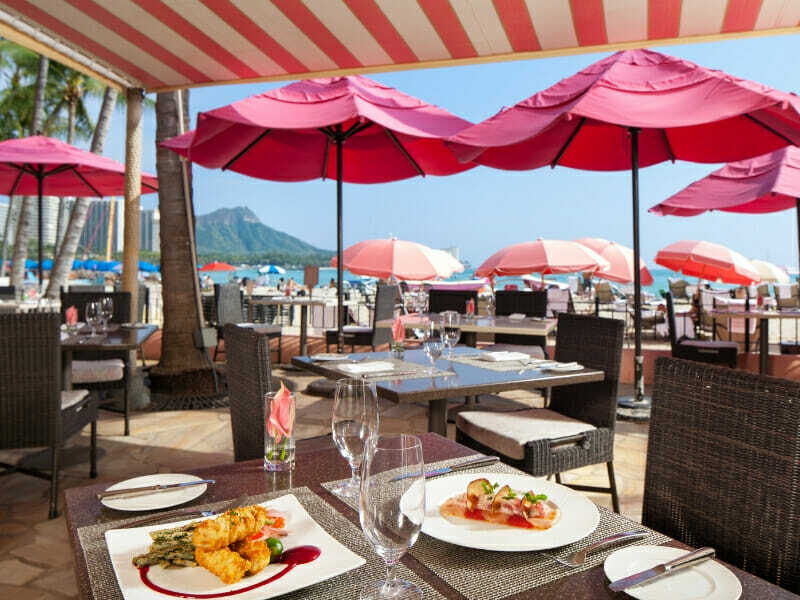 This incredible resort offers opportunities to feast, relax and completely indulge all of your senses so, for the best in Hawaii accommodation, The Royal Hawaiian is the ideal destination! 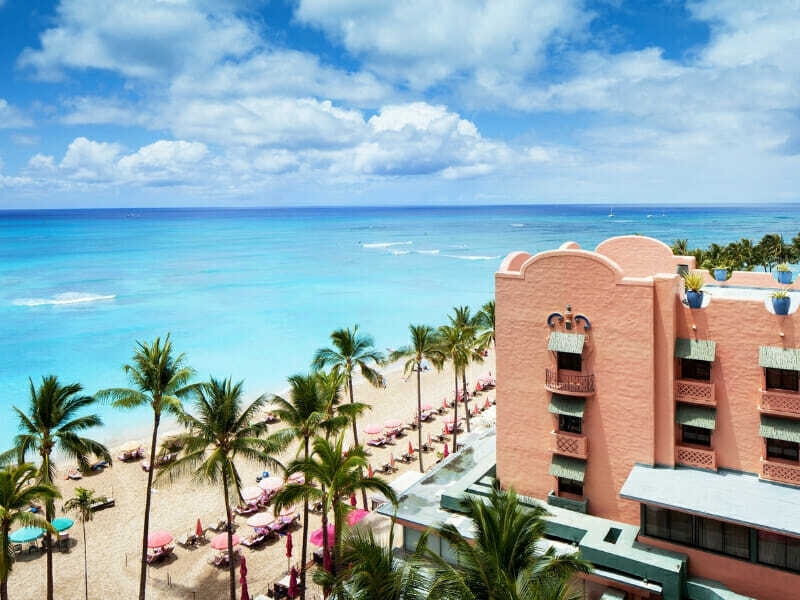 Why go to The Royal Hawaiian, A Luxury Collection Resort? 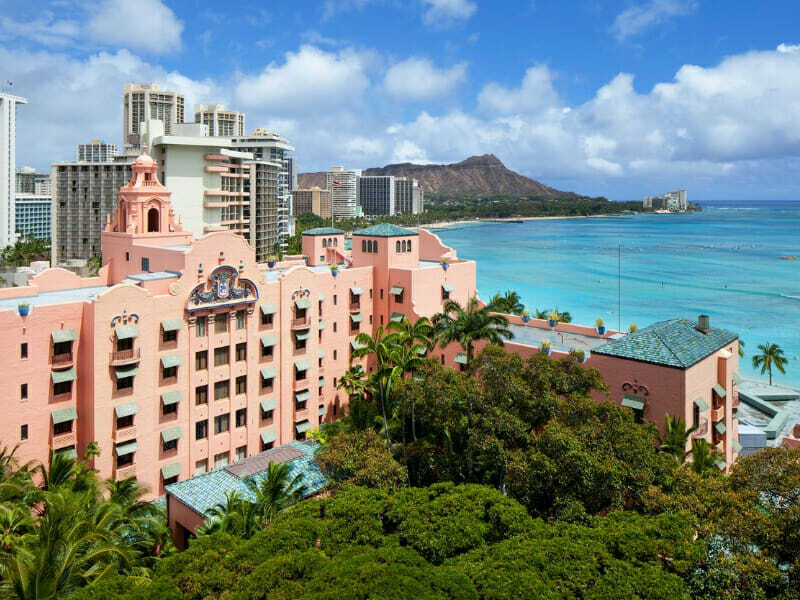 The iconic Pink Palace of the Pacific is in a prime location on Waikiki’s beachfront. This means that there are endless opportunities for exploration around the resort—from a quick stroll to observe the 9-foot bronze statue of Duke Kahanamoku, to day trips at the Ala Moana Centre or the Honolulu Zoo (both under 10 minutes away on either side of the resort). 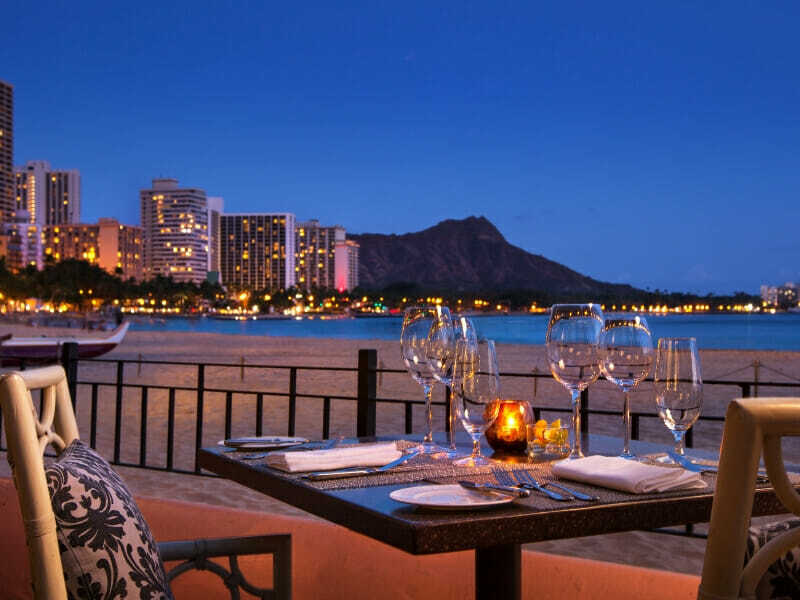 Start your days with a hike up Diamond Head (a scenic 12km round-trip), wander the boutiques, cafés and restaurants of the surrounding Waikiki streets or opt for a nice, relaxing day on the beach. 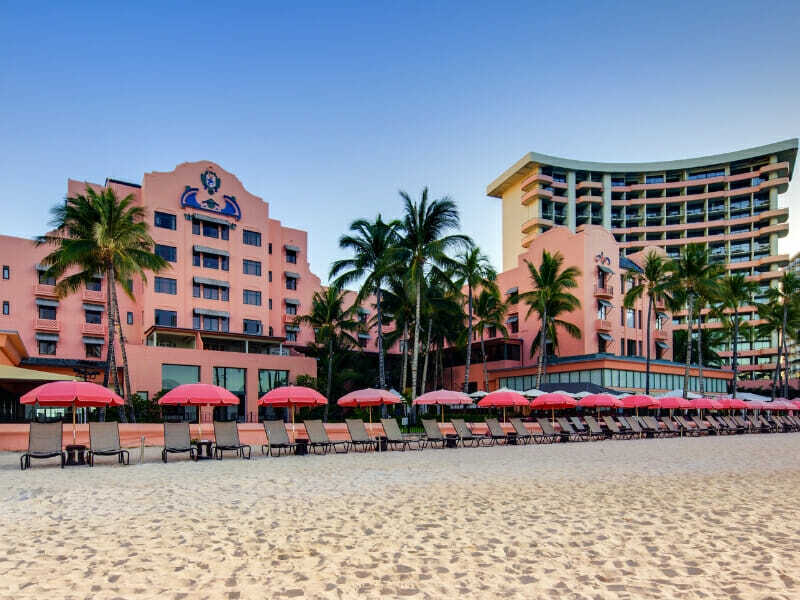 The Royal Hawaiian Resort has its own private area on Waikiki Beach where you can sit back on sun lounges or go snorkelling in the clear blue waters! If you’d rather spend your days at the resort, you can enjoy Wi-Fi access throughout the building. Bottled water will be delivered to your room, there are daily cultural activities and you’ll have access to the fitness centre, pool, Abhasa Spa and more! The Historic Rooms traditional charm with authentic ‘Royal’ style. Overlooking luscious green gardens, these rooms boast 30sq. metres of space and act as a peaceful hideaway at the back of the resort. Prepare for the day in your private bathroom with spa-inspired Malie Organic bath amenities, stay connected to home with high speed Wi-Fi access, make use of the iPod-compatible CD/radio alarm clock and cosy up in Signature Royal Hawaiian robes to watch your HD TV. Historic Rooms feature 2 Luxury Collection Double beds or a King Bed. These rooms can accommodate up to 4 adults! Historic Ocean Rooms boast 30sq. 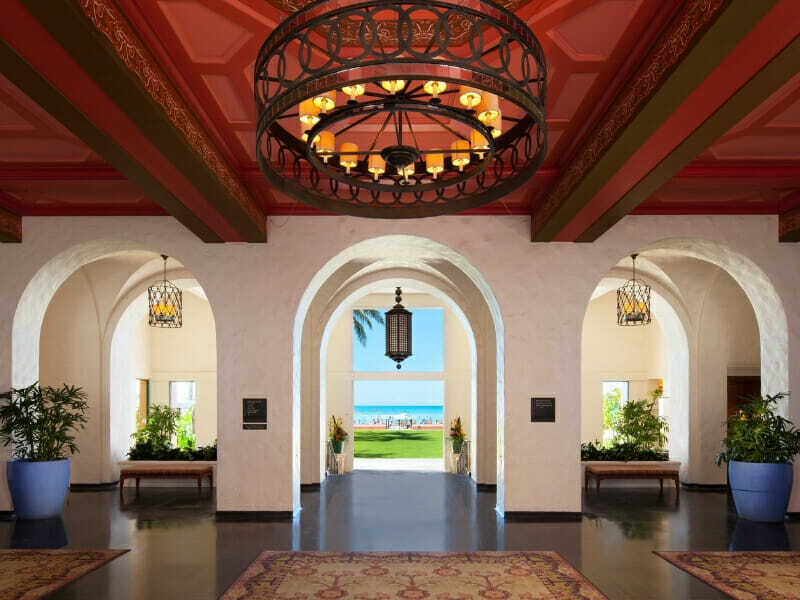 metres of space and showcase classic ambience with stunning views of Waikiki Beach. The interiors are furnished with enchanting décor and feature heritage and indigenous-inspired accents. The bathrooms feature spa-inspired Malie Organic bath amenities and guests can make use of high speed Wi-Fi access, HD TV, coffee/tea facilities and Signature Royal Hawaiian robes. 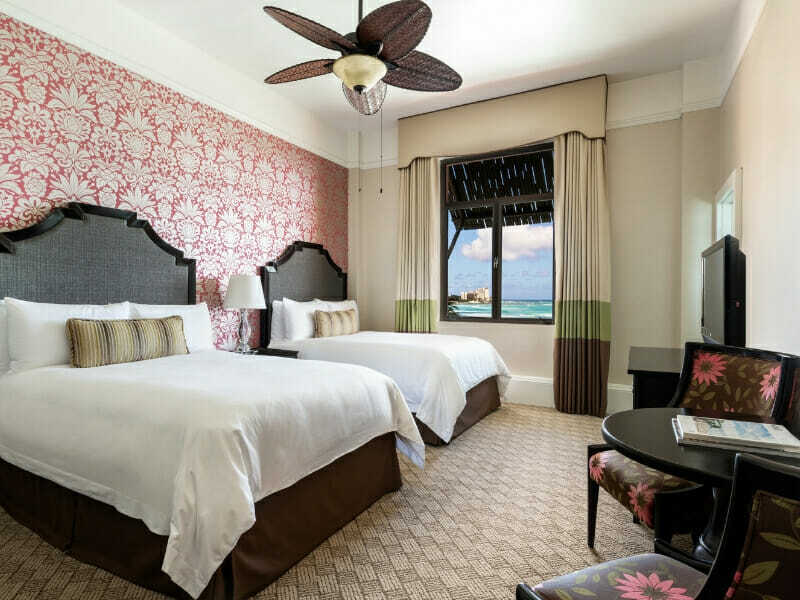 Sleep well on a Luxury Collection King bed and wake up every morning, greeted by the sound of the ocean. Historic Ocean Rooms can accommodate up to 4 adults. 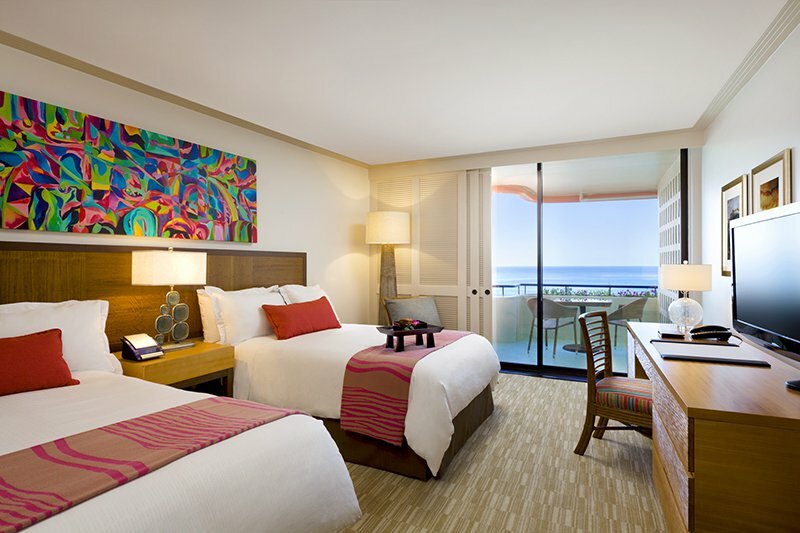 Enjoy fresh, modern décor, deluxe comfort and incredible views out across the Pacific Ocean. Mailani Tower Ocean Front Rooms boast a private balcony, chaise lounges, Luxury Collection King or Double beds, free Wi-Fi, HD LCD TV and alarm clocks with iPod compatibility. The bathrooms feature professional grade hairdryers, spa-inspired Malie Organic amenities and TOTO washlet toilets. Wake up in incredible light-filled space and enjoy being surrounded by vibrant local artworks. Mailani Tower Ocean Front Rooms are 33sq. metres and can comfortably accommodate up to 4 adults. 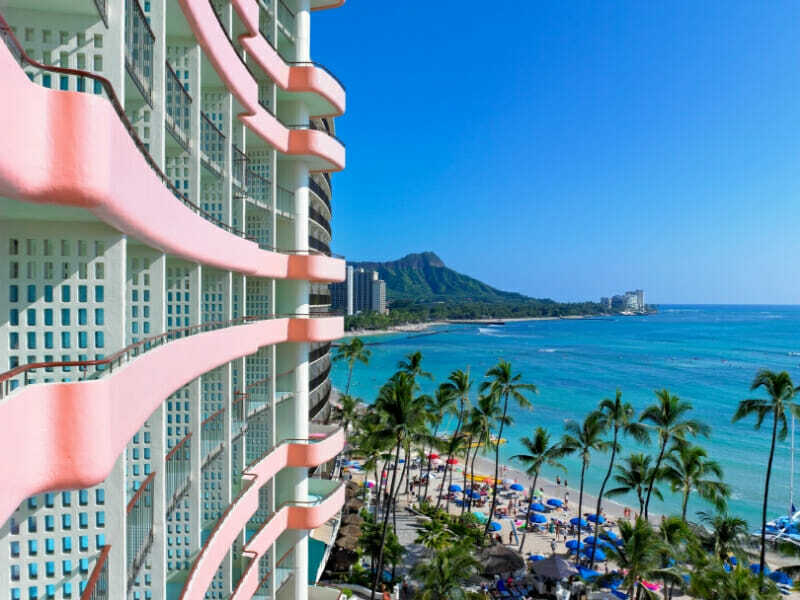 Take your Royal Hawaiian experience to the next level with a luxury package in one of the Mailani Tower Premier Ocean Rooms. Located on the 8th – 17th floors, these beautifully appointed rooms boast incredible views over the Pacific Ocean and the interiors draw inspiration from its waters and the corals that dwell beneath. Spread out across over 33sq. metres of space, take in stunning views from your private, furnished balcony and enjoy a club-level experience, with complimentary continental breakfast, evening hors de ouvres and a selection of beer and wines in the Mailani Lounge. These rooms boast Luxury Collection branded bedding, professional grade hairdryers, Frette bedsheets, bathrobes and towels and spa-inspired Malie Organic bath amenities. Surround yourself with tasteful local artwork, enjoy plush contemporary furnishings and enjoy the luxury on offer for up to 4 adults. 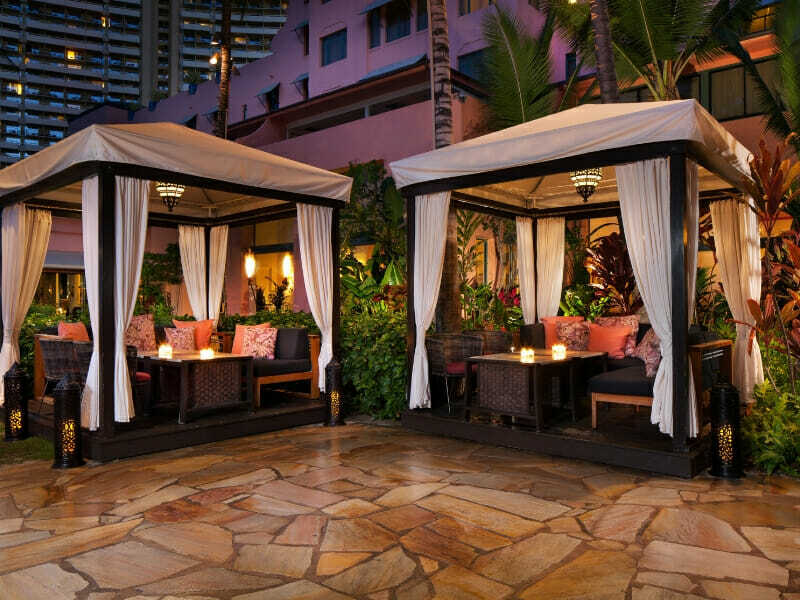 The Royal Hawaiian is located directly on the beachfront, right in the centre of Waikiki. 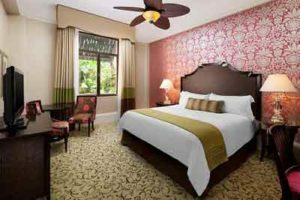 Being in the “heartbeat of Hawaii”, this resort is the perfect place to stay, play and explore! 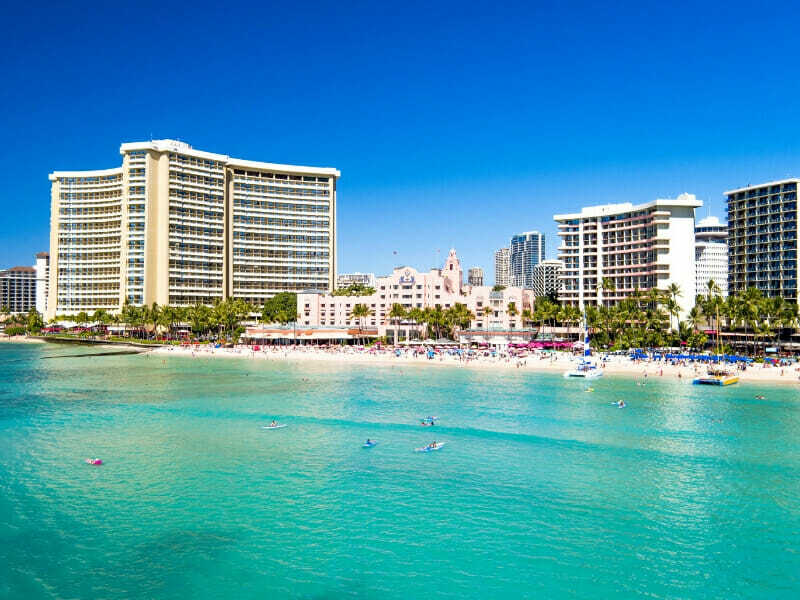 Enjoy being within walking distance of shops, bars and restaurants in Waikiki, plus you’ll also be within an hours drive of all the attractions on the island. There is no better place to stay! Hawaiian holidays are all about relaxing and having fun. 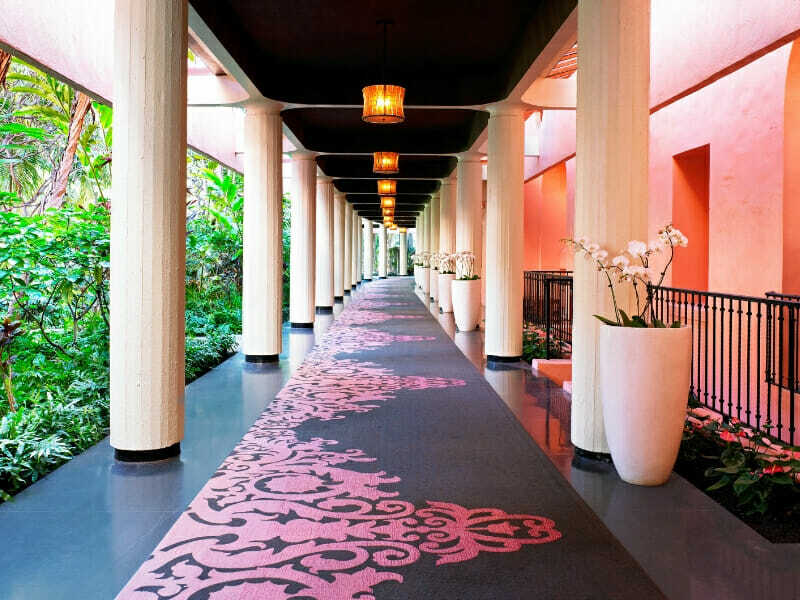 The Royal Hawaiian resort is the ideal place to do just thar! 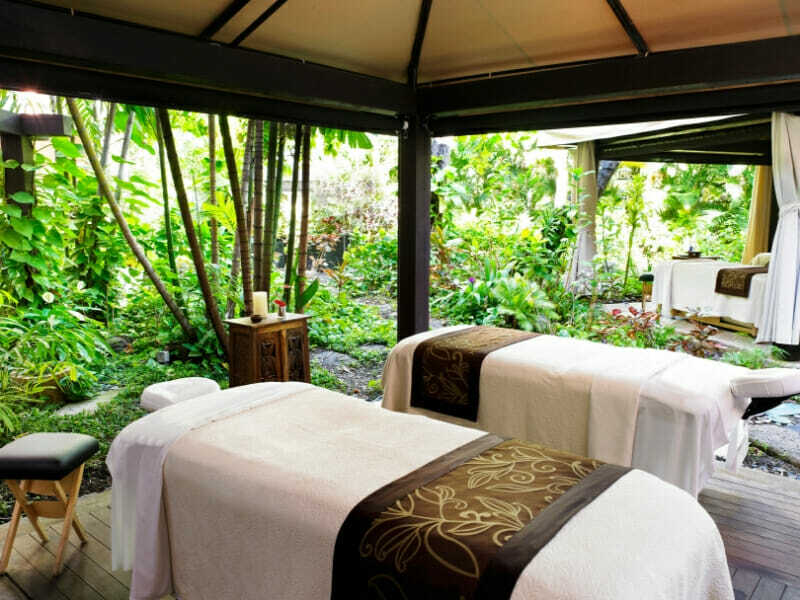 Settle into resort life with rejuvenating services at Waikiki’s Premier Garden Spa, the Abhasa Spa at The Royal Hawaiian or opt for a day of sun soaking and splashing at the beach in the resort’s private area. Venture further afield to check out Honolulu Zoo and the Kapahulu Zoo Trail, less than 2km away or hike up Diamond Head, less than 4km away. The Honolulu City Ala Wai Golf course is an easy 8-minute drive away and there are plenty of boutiques and malls to explore within a 4km radius! 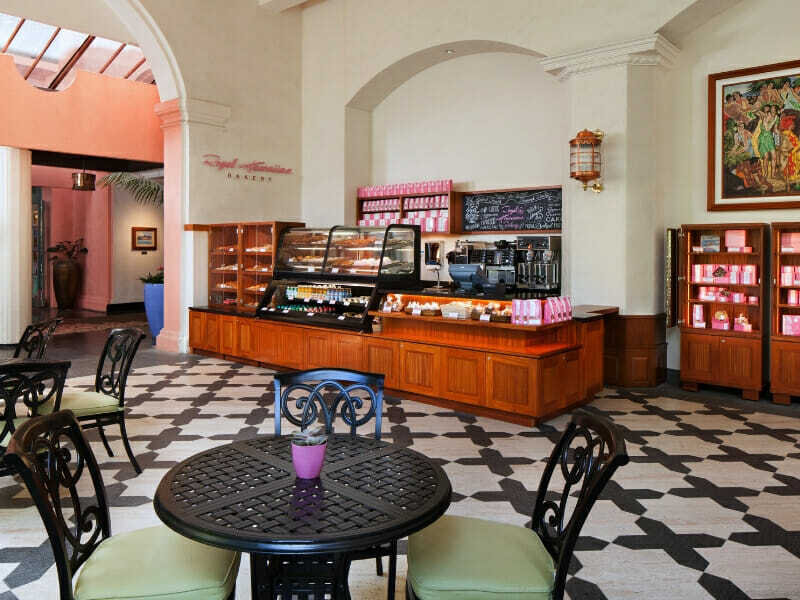 We could not fault the Royal Hawaiian. 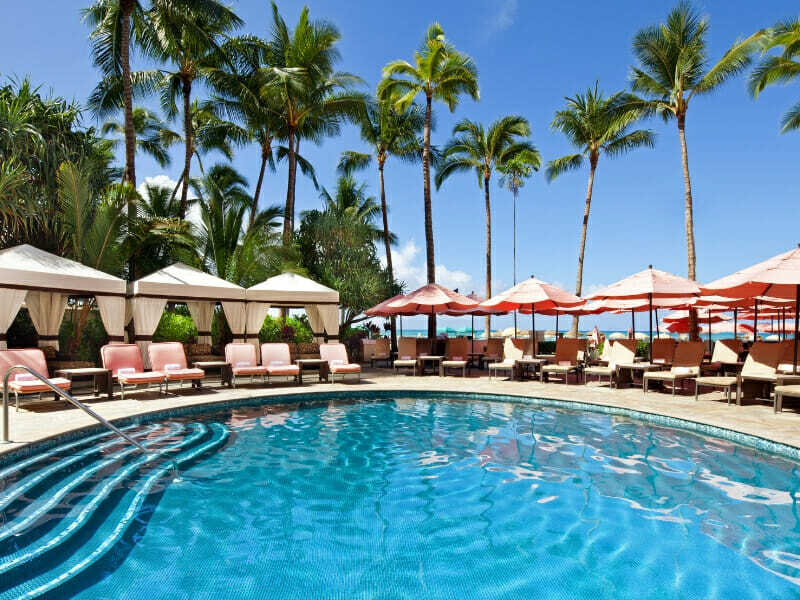 The hotel itself is absolutely beautiful, as are the gardens and the pool – a relaxing oasis in the middle of Waikiki. Our room in the historic section was lovely. The staff were very friendly and nothing was too much trouble. We would definitely recommend the hotel to friends, and we will be back!